Cumberland is my palate cleanser between sweater projects for the Brooklyn Knitfolk Hipster KAL. I realize I won't finish both Heritage (below) and Feya before it ends, but the point is that it has motivated me to begin something that's not a Fade, not that I bear the Fade trend any ill will. I knit Find Your Fade and I loved wearing it that one cold day. I am so relieved that Heritage is off the needles. 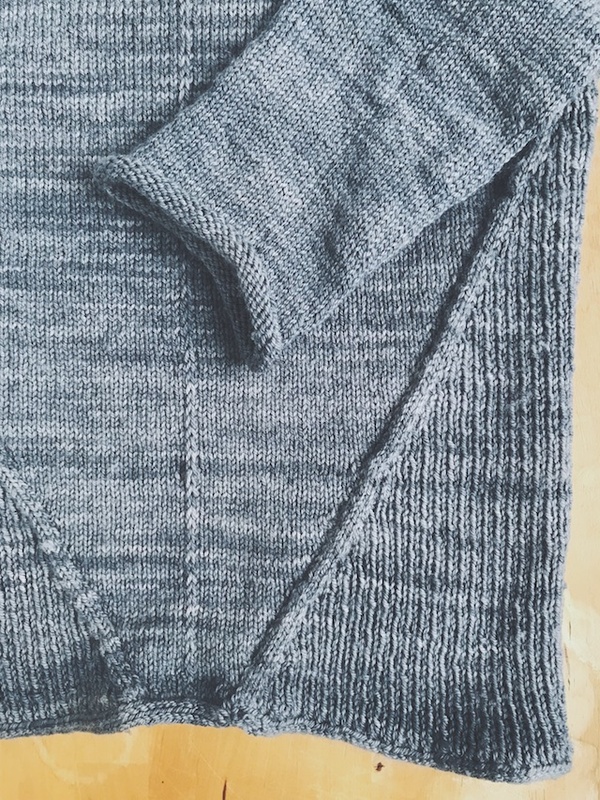 It was a fantastic knit, but I had yardage and personal gauge issues that meant I almost knit the whole thing twice. So I was kind of sick of the Heron's Wing colorway by the cast off round. 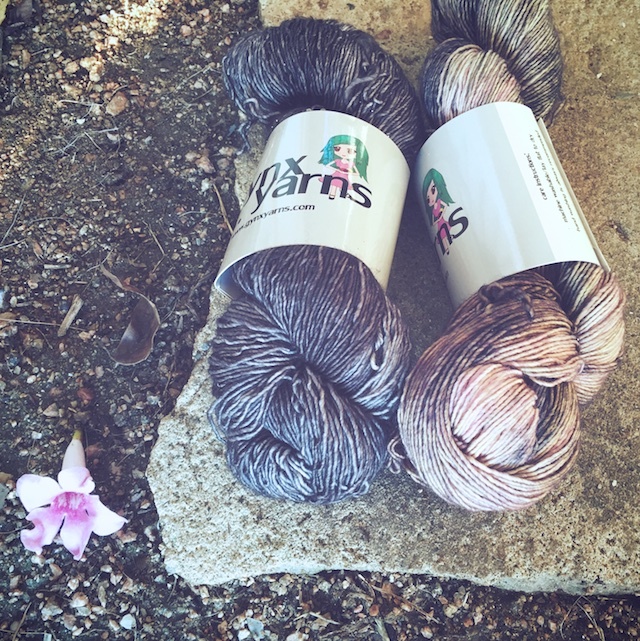 Pulling out these two skeins of Gynx Yarns (in Charcoal and Lavender Tea) that I've been saving for a two color shawl, was so satisfying. Even though my knitting time was limited, just knocking out the first stripe section last night erased all the frustrations from my mistakes on the previous pattern. This was one of those times when people sitting next to you can visibly see the difference knitting makes in your well-being. 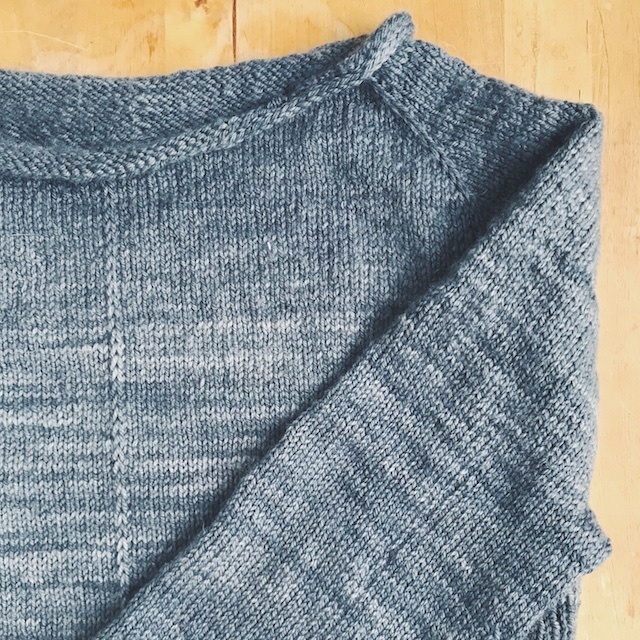 Cumberland is the perfect thing to help me switch gears from sweater re-knit mode. 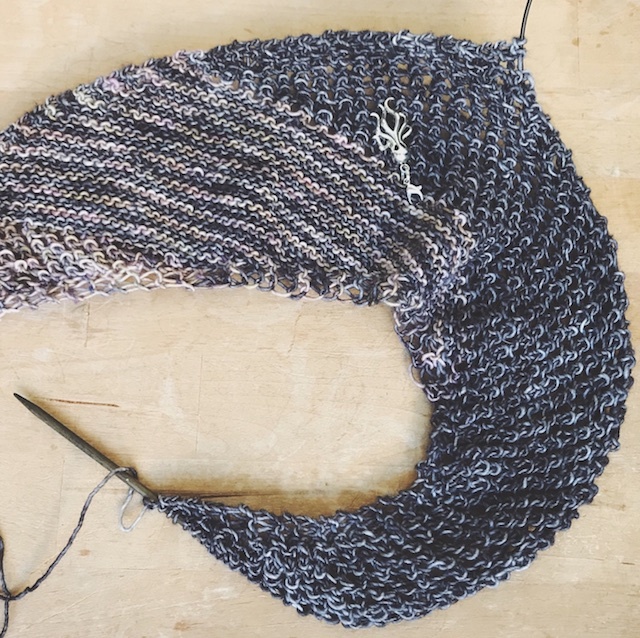 It involves easy lace, stripes, and yarn that I love. Like Heritage and Buckalope, it is designed by a Ravelry/ Instagram friend whom I love. I know that it was just released by Appalachian Knits, and so hasn't had time to accumulate a ton of FOs, but I really wanted those stripes and it has less than 30 FOs, so I'm entering it. 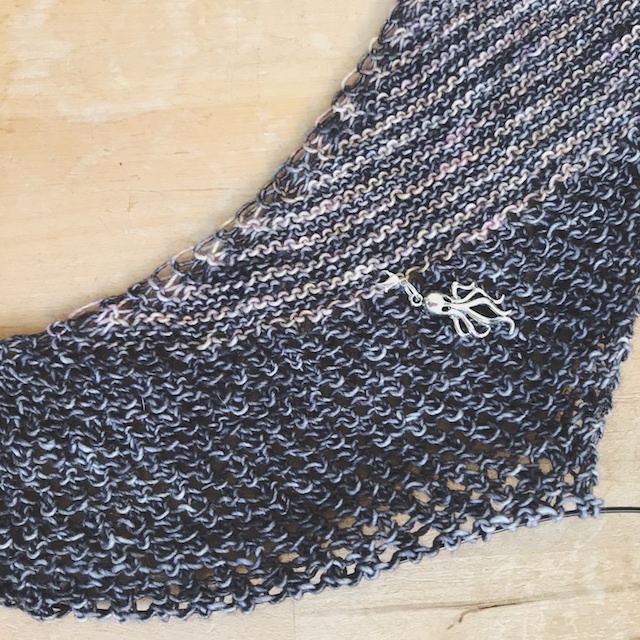 The Hipster KAL includes lots of new patterns from new designers, that's part of the charm. But it has sent me digging through old pattern books from when I first began knitting 15 years ago. There are a ton of dog-eared pages with great designs on my shelves. A Ravelry search on them often pulls up nothing, or maybe a bare page with no image. These were pre-Ravelry and pre-Instagram patterns, back in the days when mamatronic sounded like a good email address and/or username. There was no constant visual reminder that they existed and needed to be knit, like we have online today. There was none of this visual fervor that pulls me along, like the sheep I am, to knit what I see all the other knitters around the world knitting right this minute. But I want to remember these older designs, especially if they were the ones that first inspired me to pick up my needles. I'm thinking maybe I should interject some of them into my queue, every third project or so. It would be a "coming full circle" kind of experience..somehow... and freshen things up. What is your Giant Sigh of Relief project right now?